History and background of Faberge. If one wished to describe the capabilities of Peter Carl Fabergin a single sentence, one would have to compare him to a choreographer. Just as a choreographer succeeds in combining the different characters of his dancers in a harmonious ensemble, Peter Carl Fabergsucceeded in harmonizing the wishes of his customers with the skills of his work masters. If one wished to describe the capabilities of Peter Carl Fabergin a single sentence, one would have to compare him to a choreographer. Just as a choreographer succeeds in combining the different characters of his dancers in a harmonious ensemble, Peter Carl Fabergsucceeded in harmonizing the wishes of his customers with the skills of his work masters. Peter Carl Fabergwas born in St. Petersburg in 1846, the son of the jeweler Gustav and his Danish wife Charlotte Jungstedr. There he went to the German private school St. Anna. In 1860 the family moved to Dresden, where Peter Carl Faberge attended the commercial school. After graduation, the 14 year old began an extended study trip, in the course of which he completed training as a jeweler at the house of Friedman in Frankfurt am Main. In 1864 Peter Carl Faberge returned to his hometown as a fully trained artisan and joined his fathers jewelry business, where he took over management in 1872. That was the start of the unstoppable rise of the jewelry manufactory FABERGE to world fame. Peter and his brother Agathon, who was born in 1862, enthralled visitors at the Pan-Russian Exhibition in Moscow in 1882. For his work, Peter Carl Fabergreceived the Gold Medal. Just three years later, Czar Alexander III appointed him Court Supplier. The impetus for this great honor was the creation of the first of the legendary Imperial Easter eggs that same year. The reputation of Peter Carl Faberge did not stop at the borders of Russia. In 1897 the royal houses of Sweden and Norway appointed him Court Goldsmith. In 1900, at the behest of Czar Nicholas II, he represented Russian craftsmanship at the Words Fair in Paris. The success was overwhelming. For his miniature replicas of the czarist crown jewels, he received the gold medal and was inducted into the Lion dHonneur. Peter Carl Fabergsold his shares in the company to his employees and fled the chaos of the October Revolution via Riga and Berlin to Wiesbaden. He died in 1920 in Lausanne, Switzerland. His mortal remains were transferred to Cannes to rest beside those of his wife, Augusta. 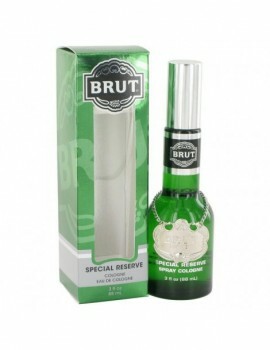 Launched by the design house of faberge in 1964, brut is classified as a refined, spicy, lavender, amber fragrance . This masculine scent possesses a blend of citrus top notes with hints of spicy woods. It is recommended for evening wear.